Editons of the Cahn guide starting in 1909-1910 listed the house as the New Noble Theatre. I haven’t found it listed in earlier Cahn guides. 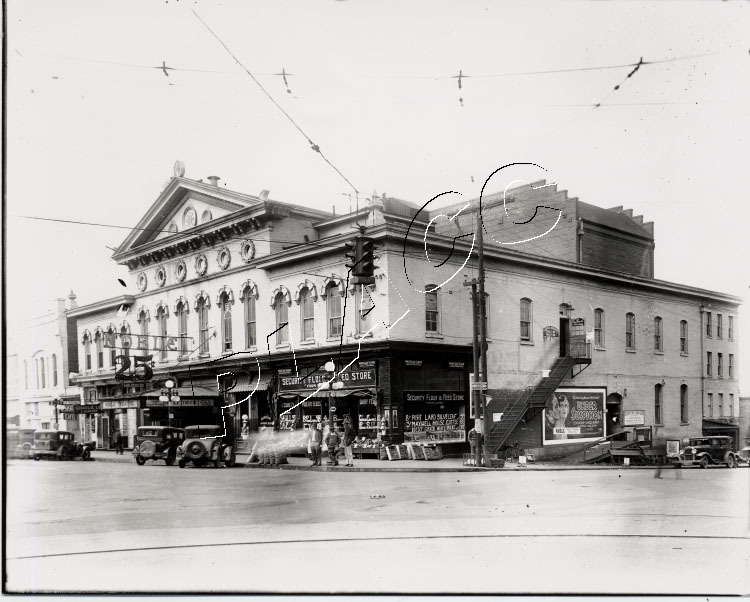 I’ve also been unable to find a first name for architect Oakley, and the only other project I can find on the Internet that was attributed to him is the Bijou Theatre in Knoxville, Tennessee, also built in 1909. BACK IN 1958 THE NOBLE THEATRE WAS REOPENED, IT WAS CALLED THE NEW NOBLE THEATRE. IT WAS RUN BY MY SISTER AND HER HUSBAND(BOB GILES). THEY SHOWED MOVIES AND HAD LIVE STAGE SHOWS. PRO. BACKWARDS , BETTY GRABLES HUSBAND AND HIS BAND, A CIRCUS, AND OTHER STAGE PERFORMERS. MAE WEST HAD APPEARED ON STAGE IN THE 30’S. THE THEATRE WAS TORN DOWN AROUND 1970.I THINK IT SHOULD HAVE BEEN RESTORED. IT WAS THE OLDEST THEATRE IN ANNISTON AND WOULD HAVE BEEN A GREAT ATTRACTION! 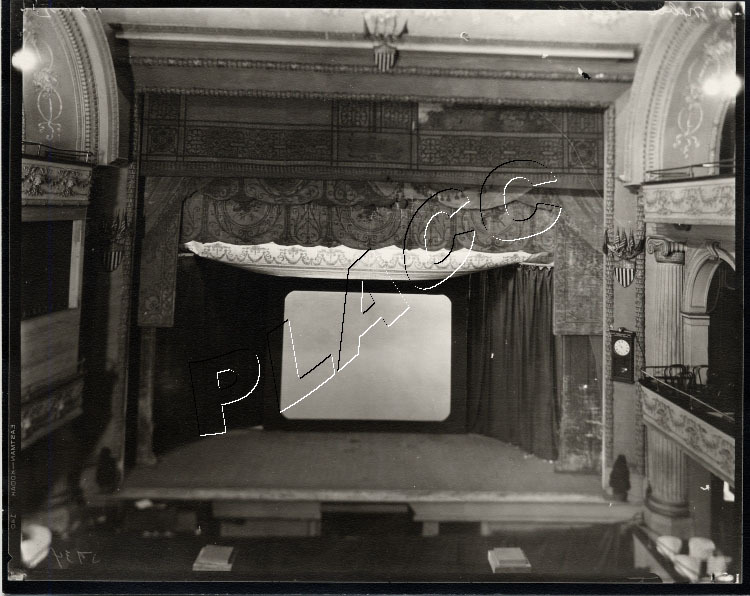 Here and here are a couple of vintage photos of the Noble Theatre.